Hertz Investment Group & Colliers International | Pittsburgh hosted an Open House to promote leasing opportunities at the Gateway Center Complex on Wednesday, May 22, 2013, on the seventeenth floor of One Gateway Center. Approximately 40 brokers from the Western Pennsylvania commercial real estate brokerage community attended the event. “Colliers International | Pittsburgh enjoys hosting events that provide a forum for our peers in the industry to network and learn about the opportunity at hand. Hertz Investment Group, owner of Gateway Center, has authorized a broker incentive program which was unveiled at the event. The purpose of the incentives is to promote continued momentum within the complex through new leasing activity.” said Paul Horan Founding Principal at Colliers International | Pittsburgh. “The Gateway Center event was an unmitigated success as brokers from each major real estate firm in Pittsburgh were in attendance,” commented Edward Lawrence MBA, Vice President of Office Brokerage at Colliers International | Pittsburgh. Colliers International | Pittsburgh hosted its annual company outing at PNC Park, for the Pittsburgh Pirates vs. the Chicago Cubs. The one hour and forty-seven minute rain delay couldn’t stop Pittsburgh from the 4-2 win for the Buccos against the Cubs, ending the three-game sweep. In the first two innings, Starling Marte hit two singles and scored twice. Andrew McCutchen’s three hits drove in two runs leading the Bucco’s to their fourth straight win. 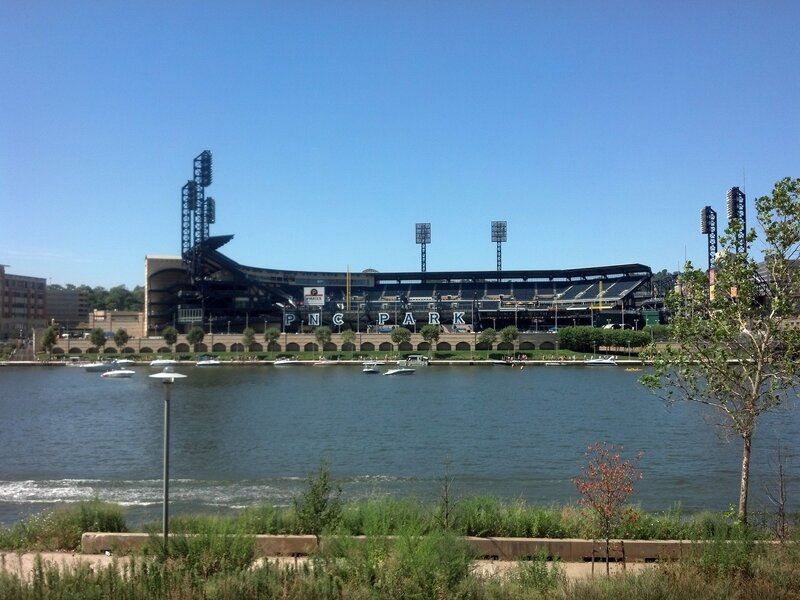 “The generosity of the Principal’s of the Colliers International | Pittsburgh office provided the entire staff with an afternoon at PNC Park to watch our Pirates compete, enjoy each other’s company and have fun. Not even threatening skies or a one and a half hour rain delay could dampen our spirits,” commented Raymond Orowetz, P.E., LEED Green Associate and Vice President of Industrial Brokerage at Colliers International | Pittsburgh. Tags: Baseball Game, Chicago Cubs, Fun, Pittsburgh Pirates, PNC Park, Primanti Bros.
Colliers International | Pittsburgh is pleased to announce that it has received several top honors in multiple commercial real estate categories at the annual Western Pennsylvania Chapter SIOR Luncheon, held Wednesday, May 15, 2013 at the Duquesne Club in Downtown Pittsburgh, honoring the Region’s Top Brokers and Deals for 2012. Colliers International | Pittsburgh is pleased to announce that the Heights Plaza Shopping Center is currently undergoing substantial renovations and being repositioned as Harrison Town Square. Nearly 50% of the 371,158 SF shopping center is being restored and renovations are expected to be complete by Summer 2013. Brad Kelly, Director of Retail Brokerage, and Michelle Stewart, Office & Retail Brokerage Specialist at Colliers International Pittsburgh have been assigned as the exclusive leasing agents to Harrison Town Square by landlord Wild Blue Management. Approximately 151,000 SF is available for lease, with 400 SF – 60,000 SF contiguous retail or medical spaces available. Harrison Town Square also features 1,750 surface parking spaces. Lami Grubb Architects, the project architect for the renovation of the shopping center, has been contracted to design the new storefront elevations. Exterior renovations include a new storefront facade, canopy and exterior lighting. Additional upgrades will include restoring the interior spaces to a vanilla shell condition, new tenant signage and pylon, improved landscaping and roof replacement.